Some grew up in churches that made a big deal of Lent. Others grew up in churches whose roots are in the 17th century English separatist movement; belonging to a body that declared they were unlike the established church; they were separate. Recently, churches of this ilk, such as Baptist are learning that fasting and feasting in the Christian life are a good pattern for spiritual growth. They are recapturing some of the practices that defined the spiritual life of Christians for more than a thousand years. Our Lenten preaching theme this year is Spiritual Sensibilities. We will explore how we live on two planes that cross every day—our human and our spiritual senses. We will see how we can transform our human senses, imbuing them with spiritual significance. Everything and everybody becomes holy when our physical senses are spiritually sensible. The season of Lent culminates with Jesus’ death on Good Friday and his lying in wait in the grave on Holy Saturday. It lasts 40 days, though there are really 46 days from Ash Wednesday to Holy Saturday, but we don’t count Sundays. During this season we follow the sacrificial life of Jesus who humanly offered himself up to make the way so we might be reunited with God in a divine way. Following Jesus involves living a sacrificial life. We practice sacrificial living by giving something up at Lent. People often give up food. The brothers in monasteries eat one meal per day instead of three during Lent, except on Sundays. 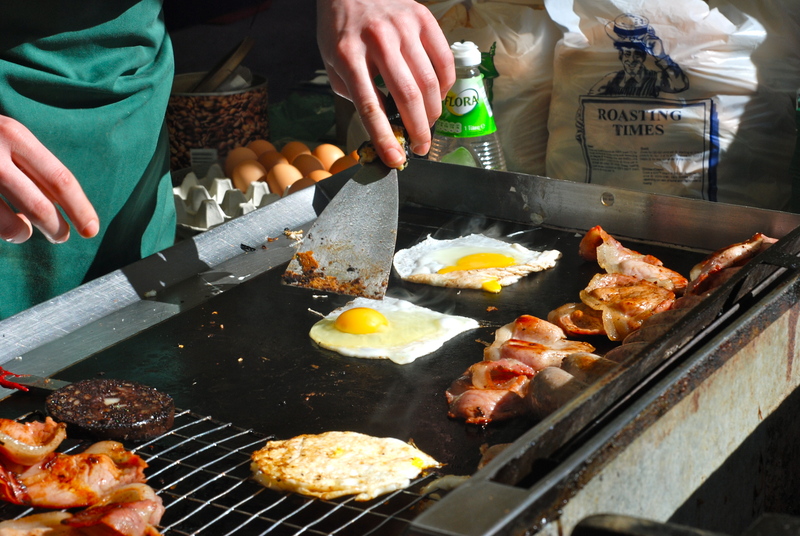 Strict Catholics don’t eat meat during Lent; many don’t eat meat on Fridays all year long. 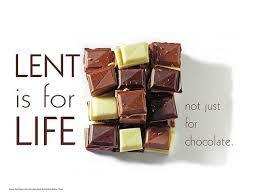 Most Christian’s give up something they love, like chocolate, dark chocolate for me, or coffee, or alcohol. I have never heard of anyone giving up broccoli or peas. During Lent we foster our cravings toward something that is greater and grander in our lives when we experience a lesser craving for what we’ve given up. Some of us give up a food because we’re letting go of the energy we invest in that lesser cravings, so we may reinvest energy into nurturing our cravings for spiritual food that nourishes our God seeking souls. We sacrifice the physical to open ourselves up to spiritual graces. What we sacrifice at Lent can sharpen spiritual senses, so we become more spiritually sensible. We will consider all five senses each Lenten Sunday before we arrive at Palm Sunday, which is our HCI weekend. Let’s consider how we can develop our spiritual noses, so spiritual aromas draw us nearer to God and nearer to each other. God’s world is full aromas of goodness. Goodness abounds in all that flourishes. Every the human science tells us we live in a world that is full of more than enough. We must train our olfactory nerves to smell the abundance of goodness in our world. Those who can sense the spiritual aromas wafting through the air realize we don’t live in a world of scarcity, which we have to fight for our share. The world is full of God’s goodness. No one should have to go without what they need because of unscrupulous ways that deprive others of what they need, so we may have more than what we need. The reasons we don’t have enough has more to do with us than God. If we cannot sense the spiritual aromas of abundance in this world we tend to become hoarders with unnecessary insecurities. God has made the world with more than enough goodness to sustain every person. 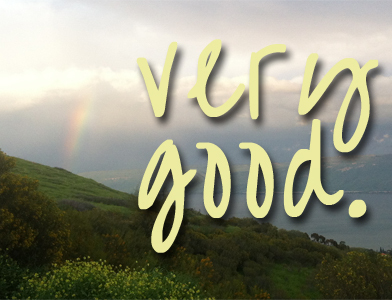 The aromas of goodness draw us to participate in God’s abundant goodness in the world. Persons with a finely tuned spiritual aroma sense this abundance provided by God and emit what they sense in all they do and willingly share with others all they have. We must learn to pay attention to the aromas that lead us to participate in God’s abundant goodness, Our participation in the goodness of God will always build others up rather than hinder people from being able to smell the abundance of God’s goodness. We might say I don’t smell the goodness of God. We may have allowed our spiritual sense of smell to be hijacked by lesser aromas. We have become like the stereotypical spouse who can’t smell an overwhelming odor in the house because he or she is so preoccupied. We can miss opportunities to participate in the goodness of God because material or immaterial concerns block our sense of the spiritual aromas of God’s goodness. We must be drawn to aromas that fill our souls with the abundance of God’s grace and goodness and participate in spreading those scents in our world. What happened to Jesus in the wilderness happens when lesser aromas tempt us. 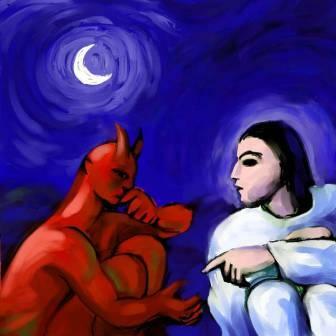 The tempter wafts the aroma of temptation, testing Jesus’ spiritual sensibility. Forty days in the desert can cause small round stones to look like the fresh baked rolls. This isn’t just a physical test; these are spiritual temptations. The temptation to turn stones to bread, throw himself off the temple mount, or assume his position as earthly ruler; appealed to both his physical and spiritual senses. The tempters implied message is you that you deserve to use your divine privileges in the physical world. 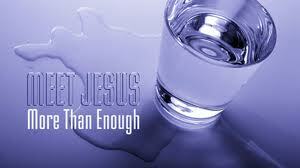 Jesus was empty-bellied, but clearheaded; he understood the nature of the test. The tempter made the mistake of thinking he had caught Jesus at a weak moment after fasting and praying for forty days. Instead of being weakened, Jesus’s spiritual senses were fortified by days of an undistracted connection with his heavenly Father. His spiritual senses were sharp. He was sure who he was and his mission. The issue raised is would Jesus allow his human senses to become acutely spiritual. We spiritually train our human senses; otherwise we’re weakened, unable to relish in the abundance of goodness that surrounds us. The more we are drawn by spiritual aromas, the more we are transformed and able to live the abundant life now and life beyond this life one day. The temptations in these stories ask if we will allow our human senses to become more spiritual, cultivating our spiritual sensibility. 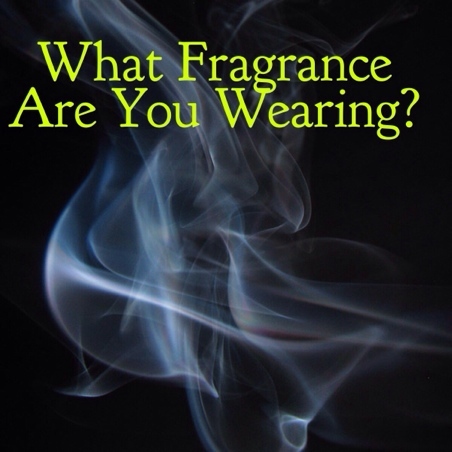 The answer to that question always begins with smelling spiritual aromas of goodness in our lives. Ashes to Go allows spiritual aromas to waft along the walks of the South Irving Transit Station. There’s the aroma of fresh coffee, donuts, and cookies, hospitality offered by winsome persons walking the decks of the station with the sweet smells of graceful lives. You can smell prevenient grace in the conversations of curiosity, invitation and willingness. All those spiritual aromas draw people toward God in a way they were not expecting when they arose out of bed. Those spiritual aromas lay the foundation for their remaining senses to be spiritually engaged on that day or some future time if their spirit is willing to freely take the next step towards God. God wants us to relish in the more than enough God has given. It starts when we allow ourselves to be captured by the spiritual aromas that fill the air. Lift up your nose so you may catch a whiff of whatever is spiritually alive around you. Or as Paul told those Philippians be drawn to: “Whatever is true, honorable, just, pure, pleasing, commendable, for if there is any excellence and anything worthy of praise, think about [smell] these things.” These are the good things of God that are abundantly available. Terri went to freshen up for dinner on Friday night while I watched Sophia, our granddaughter, who she kidnapped for the weekend. 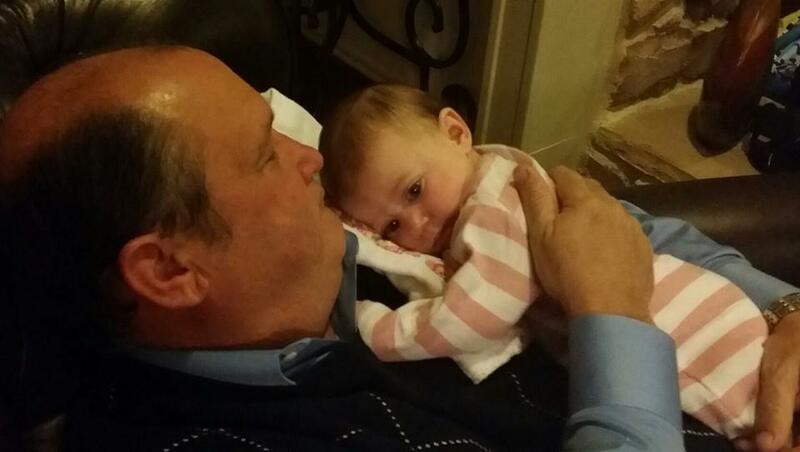 When Terri came back into the living room, Sophia ran and jumped in her lap. She buried her head in Terri’s chest and stayed in that position for a moment. She then lifted her head and quickly buried her head again, doing the same thing several times. Finally, Terri realizes she smells her perfume and decided the girl likes Chanel #5. She was drawn to love on Terri because of the sweet smell of aroma wafting from her beauty. The finer we tune our sense of spiritual aroma, the more we will be drawn to the goodness of our God. The closer we draw to God, the more our spiritual senses will grow and thrive. Start this Lenten season being drawn to the spiritual aromas around you. Those sweet smells will lead you to more acutely attune all your spiritual senses: sound, taste, sight and touch. Let us allow our human senses to become more spiritually sensible.